Home > Today''s Daily Deal - Save $20.00 or More! 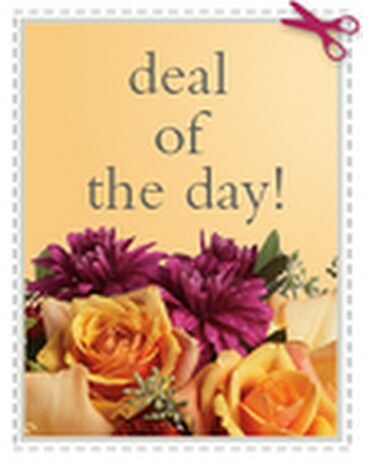 Today''s Daily Deal - Save $20.00 or More! On a budget but still want to send your thoughts to that someone special? Why not let our local florist hand design a custom vase arrangement just for you? Trust our talented designer''s to choose the best flowers - and hand deliver your gift today! They''ll never know how much you spent.